Since nutrition is a key factor for optimal muscle growth, besides pounding heavy iron, you have to also make sure you’re eating the right muscle-building food. Then comes supplementation. Remember, supplements can’t replace real, high-quality food and they can’t do wonders on their own, so they should always come second on your priority list. When it comes to supplements, you might having trouble choosing what’s most adequate for your goals, given the great number of choices with different price ranges we have today, but the best idea is to stick with those supported by science in terms of efficacy and safety. In the hope of shedding some extra light on the subject, we’ve created three supplementation combos that can help you reach your muscle building goals in the shortest time possible by increasing the efficiency of your diet and training efforts. Whey protein is a fast-digesting complete protein source which contains all 9 essential amino acids while offering a low lactose content and has a potent ability to promote the growth of lean tissue mass by improving muscle protein synthesis and preventing the breakdown of muscle. 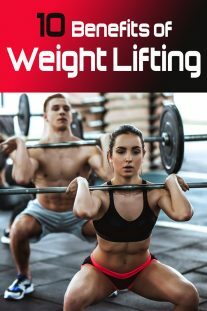 If you regularly perform intensive strength training, you need to take around 0.64-0.9 grams (or 1.4-2.0 g/kg) of whey protein per pound of bodyweight. 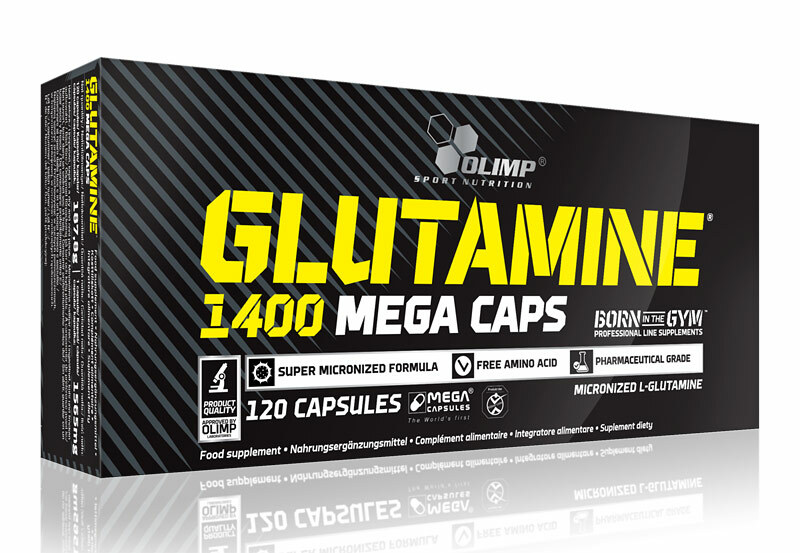 Supplementing with glutamine, the most common amino acid found in your muscle, is another powerful tool for minimizing the breakdown of muscle and improving protein metabolism. A general recommendation for bodybuilders is to take 10-15 grams of l-glutamine per day in 2-3 servings. Finally, consider adding oatmeal in your pre-workout meal because it contains plenty of slow-digesting carbs that will feed your muscles with glycogen and provide a steady supply of energy during your training session. Including creatine into your post-training meal will enhance your gains even further. A general rule of thumb is to saturate your muscles with 20 grams of creatine in five-gram servings for a week, then bring the consumption down to 5 grams per day for maintenance, or you could cycle your creatine consumption by starting with .16 grams per pound (.35g per kg) of bodyweight daily during the first week, then lowering the amount to .7 grams per pound (.15g per kg) of bodyweight daily during week 2-4, then taking the fifth week off and repeating the cycle. 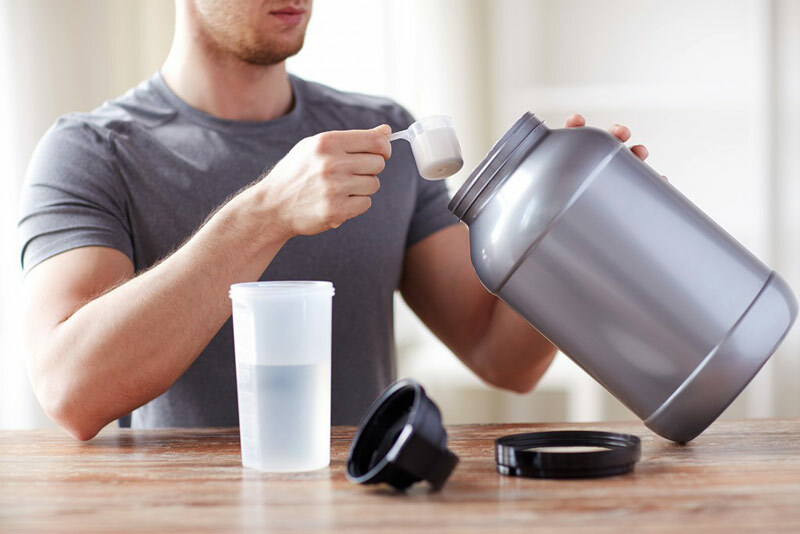 Many studies have shown that creatine supplementation can promote greater lean gains, increase strength and maximal power and improve athletic performance. For optimal results, fortify your creatine drink with 1-2 grams of vitamin C and 400 IU of vitamin E in natural form (natural forms of vitamin E are more than two times more bioactive compared to synthetic ones). Besides being a major contributor to the growth and repair of tissues all around the body, vitamin C supports protein metabolism and helps keep testosterone levels high by reducing cortisol production, while vitamin E plays an important role in preventing muscle loss and glycogen storage. 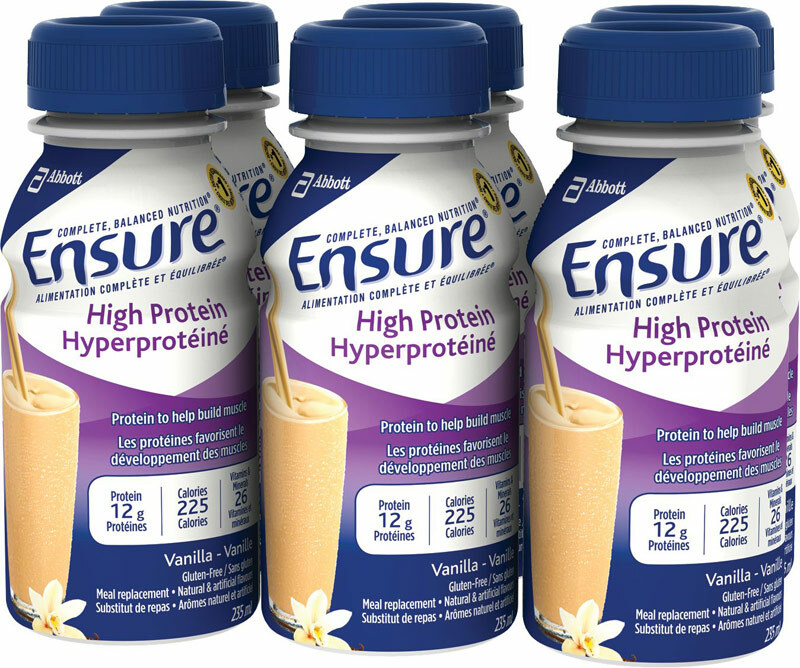 Meal-replacement products provide a flexible way to meet your daily muscle-building macro requirements by offering a balance of protein, carbs and other essential nutrients in convenient powder form. When choosing the right product, make sure that it offers at least 200 calories per serving and that one serving contains 3-5 grams of fiber, 10-15 grams of protein and less than 5 grams of fat. To boost its effect even further, mix in 1.5-2 grams of beta-hydroxy beta-methylbutyrate (HMB). 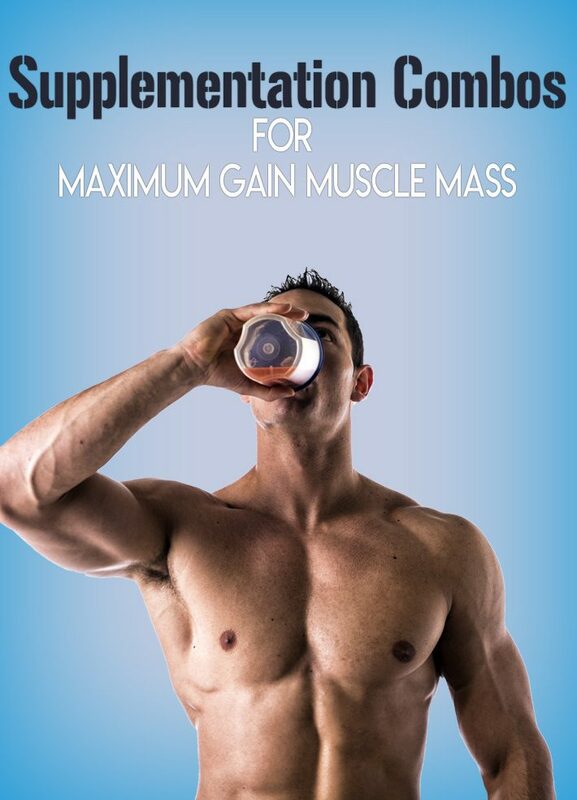 HMB is a metabolite of the amino acid leucine and works by preventing protein breakdown and muscle loss and improving lean body mass gains and strength when combined with resistance training, especially in novice lifters.